Usher brings to you lashes that are in - trend, on - point and totally drool - worthy. 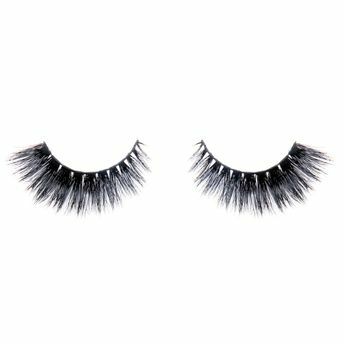 'Gimme more' is a full set of 3D lashes with alternating strokes and criss cross effect. Handwoven from the finest sourced Japanese silk and made with Usher's exclusive multi - dimensional layering technique, these lashes add a touch of subtlety for a voluminous finish. Length : 5 - 15mm. Band : Handcrafted Cotton Band. Wear Period : Up to 20 times.